Summer is right around the corner in Potomac, MD, and it’s 46,000 residents are excited for their fun in the sun. With summer, however, comes Maryland’s most humid time of the year, and with Potomac’s humid, almost subtropical climate, mold is an ever present danger to the citizens of this lovely town. You may think that your home is air-tight and that mold won’t stand a chance, but even the most secure homes can fall victim to this fungus. Wherever there is constant moisture, mold is sure to grow, and when it does, AA Action Waterproofing is there with the best service in mold remediation in Potomac, MD. 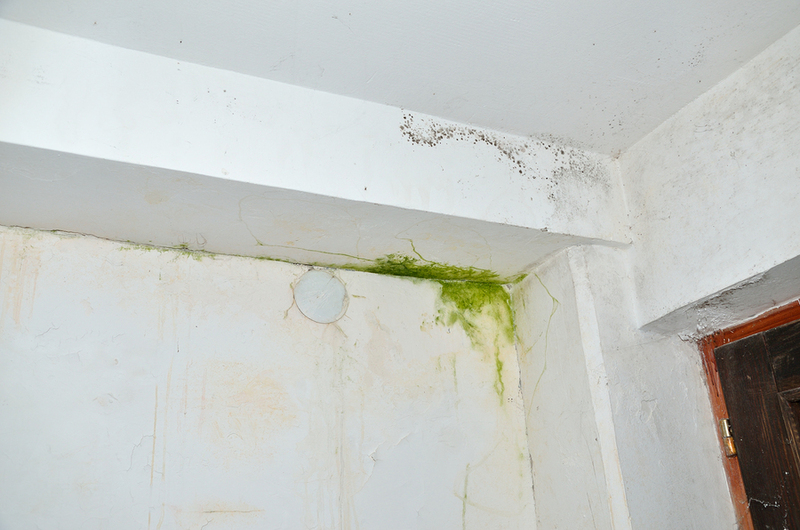 Mold, simply put, is a fungus that is especially prevalent in places with humid climates like Maryland, as it requires moisture to grow. While it is part of the natural environment, its presence indoors should be avoided at all costs. If mold is left unattended to grow and spread throughout the house, you’ll notice quickly; while the spores themselves are a natural part of the dust that inhabits homes and the workplace, if left to develop into mold it will noticeably effect your health. There are different types of mold, but they all pose a health risk to us as humans. Some types of mold, known as “toxic mold” produce mycotoxins, which can lead to serious health issues and even death if left exposed for too long. One sign of a mold problem is, of course, seeing it, but you can trust your body to let you know as well. Mold exposure can produce symptoms very similar to the common cold, or even pneumonia, but if your symptoms get better or abate when you leave the home, this is a good indication of the presence of mold. Symptoms of mold exposure include: nasal congestion or runny nose, eye irritation (itchy, red, or watery eyes), respiratory issues such as wheezing or chest tightness – especially in those with asthma, throat irritation, rash, headache, or persistent sneezing. I said earlier that companies that tell you they can completely rid your home of mold can’t actually do that. So, what’s the difference between completely removing mold, and mold remediation? The truth is, a small amount of mold is natural, and essential to maintaining the natural balance of things. Removing it completely is just impossible. By choosing a service in mold remediation in Potomac, you are choosing the best way to get rid of a mold problem by doing just that – removing only the problem in an environmentally safe way. Mold remediation is a simple concept: rather than futilely attempting to remove all mold, mold remediation is the act of removing and cleaning contaminated materials in such a way that prevents the mold spores from leaving the area. This procedure focuses on getting the mold back down to a normal level. When you call AA Action Waterproofing to for their Potomac mold remediation service, they take your home and your safety very seriously. They’ll locate and eliminate the main source of moisture, then go about isolating it by sealing the doors and vents in the contaminated area, effectively keeping the spores from spreading. Once that is done and the spores are safely contained, they will go about removing, cleaning, and then thoroughly drying the area and any personal effects within it. And as an added bonus, because AA Action Waterproofing care about the well-being of your Potomac, MD home, they’ll do a thorough check for any damage done by the mold and either repair or replace the decayed materials, leaving you and your family happy, healthy, and your home mold-free. If you think you have a mold problem in your home, calling AA Action Waterproofing for their top notch mold remediation Potomac service is the best thing you can do for you, your family, and your home. DIY methods for removing mold are all over the place on the internet, but they aren’t all as effective as you may think, and if the right conditions are presented again, that same mold you thought you removed can easily come back. When you consider that, why take the risk?